The study, published Wednesday in the New England Journal of Medicine, found that e-cigarettes were nearly twice as effective as conventional nicotine replacement products, like patches and gum, at quitting smoking a year after starting them. The study was conducted in Britain and funded by the National Institute for Health Research and Cancer Research UK. It followed 886 smokers assigned randomly to use either e-cigarettes or traditional nicotine replacement therapies. Both groups also participated in at least four weekly counseling sessions, an element regarded as critical for success. “There is an unavoidable tension between protecting kids from e-cigarettes and smoking cessation, which is also very important,” Benowitz said. 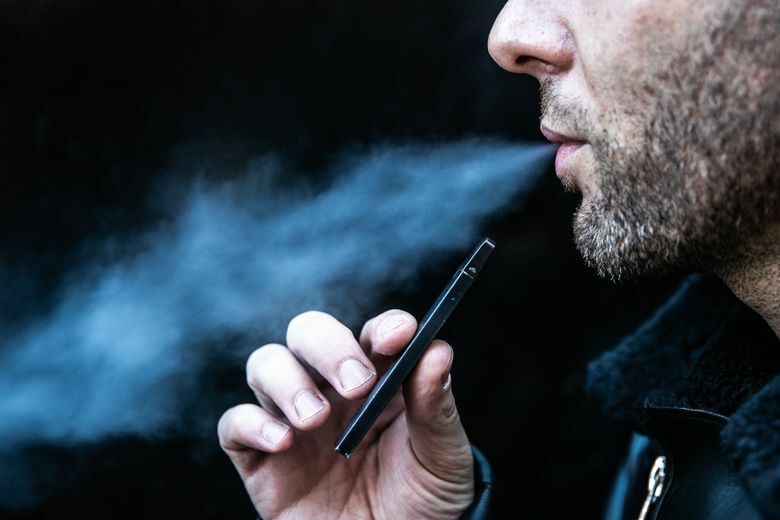 They noted that 80 percent of the study participants who had quit by using e-cigarettes were still vaping at one year, while only 9 percent of the nicotine replacement therapy group was still using nicotine products. That raised concerns, they wrote, about sustained nicotine addiction and the unknown health consequences of long-term e-cigarette use. All the participants had individual latitude within their study groups, to closely approximate real-life scenarios. When the vapers finished their bottle of nicotine liquid, they could choose whichever flavor and nicotine strength to purchase. Dr. Maciej Goniewicz, a co-author of the British study who is now a pharmacologist at the Roswell Park Comprehensive Cancer Center in Buffalo, New York, said that the success of the e-cigarettes most likely reflects a combination of factors. Benowitz noted that the higher quit rates and compliance among e-cigarette users could be additionally explained because those subjects expressed more satisfaction with the devices than did the other group with their products. In their editorial, Borrelli and O’Connor pointed to other research on smoking cessation therapies: In one study nicotine-replacement therapy and the antidepressant bupropion (Wellbutrin) achieved slightly higher abstinence rates than did e-cigarettes in this latest trial. The prescription drug varenicline (Chantix) has performed even moderately better. Moreover, these products have been proven safe, they said.